Saucer Time! : What are your personal experiences with extra-terrestrials, or are you simply passionate about researching? What are your personal experiences with extra-terrestrials, or are you simply passionate about researching? alien-defined on tumblr asked: What are your personal experiences with extra-terrestrials, or are you simply passionate about researching? I have to ask, I'm rather obsessed as well! My personal experience was on October 31st, 2000 near the San Bernardino mountains. Three friends and I were driving to a Halloween party and we saw a UFO. My friend was looking for a spot to park the car while I happen to be looking out the window at the full Moon. As I glanced up, I saw what I thought was a falling star and told everyone to look. We watched the star descend from space and then it came to a stark stop! We all fell completely silent as the "star" made a swift movement, drawing the shape of a perfect triangle starting and stopping at the same point. The object then began to fly a little slower and went through a colorful light pattern before charging up with an extremely bright, white light and shooting off so fast that it basically disappeared. I was speechless, but another friend said, “it’s a UFO.” I haven’t really seen anything exactly like what I saw that night since. I’ve seen similar glowing orbs in the sky that move and than disappear, but you have to look for them. They basically look like a star floating on ice and their light sources vary from bright to dim and then fade out. 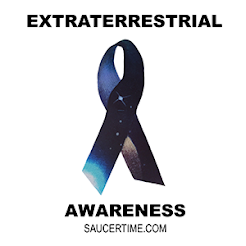 I have never had an alien abduction experience, or close encounter or telepathy experiences, just an eye witness to something completely palpable and it was very exciting to see. I wish more people could of seen what my friends and I saw. I made this re enactment to help put visuals to my experience. If you have any experiences you would like to share on this website please do! The more evidence we have, the closer we will come to discovering what is out there!